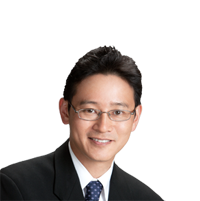 Dr. Shimizu is the sole recipient of the American Academy of Cosmetic Dentistry’s People’s Choice Award in the Houston area. He was recently featured during the American Health Front television program that was featured on channel 13 of the ABC network, showcasing his passion in the area of Full Mouth Rehabilitation and Aesthetic dentistry. This nationally televised educational program is an informative series on the latest advancements and techniques in health care today.